Family and friends may call at the Amos Carvelli Funeral Home, 201 Edison Street, Nutter Fort on Friday, from 3:00 p.m. to 8:00 p.m., where funeral services will be held on Saturday, March 30, 2019 at 1:00 p.m. with Reverend Dustin McCune presiding. 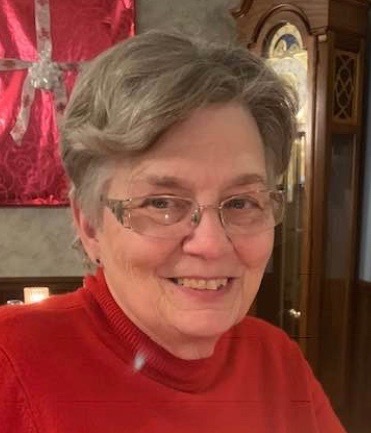 Brenda Yvonne Stealey Hogue, age 69, of Clarksburg, WV, passed away on Tuesday, March 26, 2019, at the United Hospital Center. She was born in Clarksburg, WV, on November 28, 1949, a daughter of the late Robert Wilson and Eleanor Jean Burnett Stealey. Brenda was preceded in death by her husband, Joe Andy Hogue. Surviving are her son, Robert Andrew Hogue and his wife Rebekah of Scott Depot, WV; one grandson, Ryan Hogue of Scott Depot, WV; her sister, Deborah Davis of Clarksburg; her brother Mark Robert Stealey and his wife Toni of Simi Valley, CA; as well as several nieces, nephews, and extended family members. Brenda was a graduate of Washington Irving High School Class of 1967, and received her Bachelor’s Degree in Education from Fairmont State College in 1971. She went on to West Virginia University to earn her Masters Degree in 1978. She taught in Harrison County Schools retiring after 35 years of service. She was a member of the United Methodist Temple, and was a member of the West Virginia Association of Retired School Employees. In lieu of flowers, memorial donations may be made to United Methodist Temple, 665 Locust Avenue, Clarksburg, WV 26301.